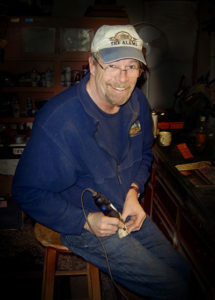 Randy Millert, a Nevada City local, has been an artist all his life. He studied art at American River College. He has, however, only been carving since 2003. Since he discovered his talent for wood carving he has done that exclusively. 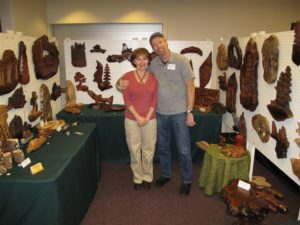 The artist uses Redwood Burl, Myrtle and Maple woods from Northern California and Oregon. Each unique piece is carved from wood timbered over fifty years ago.